Before my mother passed away in 2010, she and I had discussions about His Majesty and how now was really the time for this play – September 11th and the ever-growing presence of terrorism in the public consciousness made the play that much more immediate. For years I have composed music for the theater or combined text and music in concert pieces. 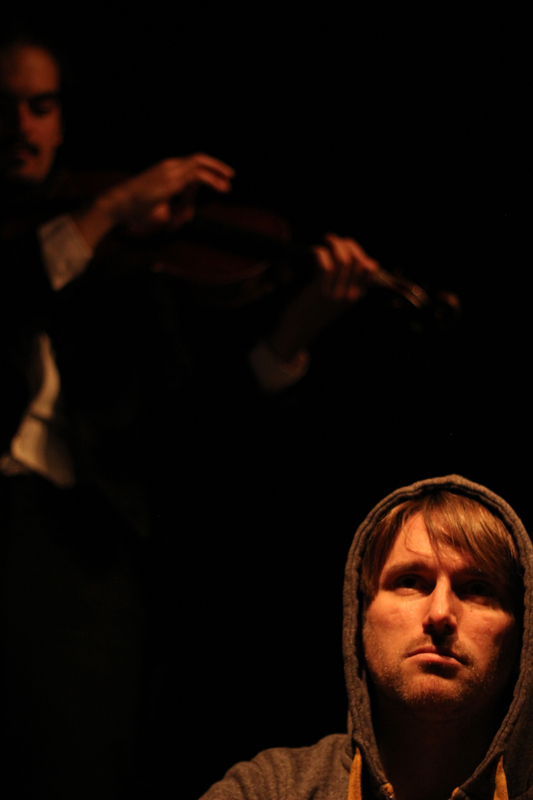 It seemed to me that there was room in this play for music. We added another, “musician character” into the play. It was the chance for my father and I to work together again, with Arnaud, and somehow with my mother too. I knew, however, that we needed the right person to direct us. I met Mathilde through mutual friends. She, too, had recently lost her mother, and it had been an undeniable turning point in her life, as in mine. When my father saw her production of Waiting for Godot, it solidified the intuition that she was the right person to direct this new work and to help guide us in this crazy adventure. What interests you most in it? I love Dostoyevsky’s writing. I find that my mother was capable of capturing the spirit and depth of Dostoyevsky while making it a theatrical experience. Dostoyevsky is one of the only writers who looks deeply into human darkness without losing the light. She was able to capture so much humor too. But ultimately, she ended up saying so much herself in this work. I also find it extremely stimulating to have a work that makes you think deeper and that challenges your thinking and ideas on many of the essential questions of life. I find this project exciting too because I’ve never seen music integrated into a play quite in this way before, so I feel like we’re going into new territory I believe fully that we’ve assembled the right group of people for this project, so that’s extremely exciting. We may fall flat on our faces, that’s always a risk, but when you have the right combination of people the potential for something exciting to happen is so much greater. What does the music bring to the play? The music plays many different roles. Sometimes it accompanies, sometimes it takes center stage and continues the dialogue. Sometimes it paints pictures and sometimes it is used for humor or to open up an emotional space. I love writing music for the theater, but most of the time music in the theater really accompanies the play. I deliberately chose to try something different here. I wanted the music to be a challenge for us – for the actors, the directors and the audience. The music also opens up a space for all those mysterious zones that words only begin to touch. Since the play deals with subjects which are extremely intense at times, music can help to go into certain emotions which are better expressed without words… or on the contrary, music can help to lighten and bring humor. This play is very dense with ideas, and the music also allows for time and space without talking, which, I hope, will help the words to be heard better in the end. It is also interesting because there is one character who only talks, one who talks and plays an instrument, and a third who only plays his instrument. This creates an interesting balance/unbalance in the play. How would you describe your character? Was it challenging to play someone so radical in his ideas? In what ways do you identify with him? I would describe my character as someone who is extremely intelligent and has deep feelings, but has tried to master them with his thinking. Probably very hurt somewhere along the way. Very idealistic. Very disillusioned by people. Very alone. Very hurt. As we’ve been working on this play, Sandy Hook happened and the Boston bomber… though each of these young men is different, I can’t help connecting them to this character and somehow feeling very sorry for them. Sometimes people who are more sensitive, more intelligent and more talented have the possibility of losing their mental and inner balance more easily and it seems that much more tragic because we can imagine the potential for good that might have been there if things had gone differently. It is an extremely challenging role for me because so much has to happen in reaction to the other character. There is a deep part of me that is radical in my ideas too, but maybe it’s a part of myself that I’ve softened and modified over the years, so it’s interesting to get in touch with that. I like that he goes all the way with what he thinks. As an artist I can identify with his feeling of being alone and trying to fight for something of meaning. I think I identify more easily with someone who believes strongly in something and tries to go all the way (even if it’s wrong) than someone who doesn’t want to make any waves or is just interested in being comfortable and taking care of their own little concerns. I understand his revolt against the world… a world that is allowing 14,000 children to die each day, even now. What sort of audience would enjoy this piece? It’s always a surprise to me and difficult to guess who will like something. If we do our work right, my wish is that anyone might enjoy it! or at least that we won’t be catering to just one type of person. I think someone who enjoys theater that challenges your thinking would enjoy this piece. 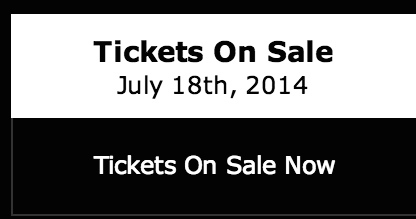 But I’m also very curious to see what type of audience will like it. I’m hoping that the music will open a lot of doors for audiences who might have more difficulty if the music wasn’t there. Is it the first time you work alongside your father? How does it feel to work on a project that involves both your parents? It’s not the first time I’ve worked with my father…. or my mother, for that matter. With my father, we performed together the pieces I wrote for violin, viola & narrator. It is the first time that I’ve ever acted an important role like this with my father in a a full production. I feel so lucky and grateful to have had these two extraordinary people as parents. As the years go on and I am able to have a greater perspective, I also feel that they are both rare artists. I really wish to share them both with others. When we are working together, it is the art that comes first. I think that there is a tie, a trust, and a kind of unspoken communication thanks to those deeper ties. It is a way of discovering my father differently too… and of continuing the relationship with my mother. Sometimes I get scared thinking “would she be happy with this choice, or with that? Would she like what we’re doing?” But the answer for me is very clear, stay true to her deep down and trust that you are doing right by keeping the work growing and alive, continuing the collaboration with her somehow. It is a great, great risk … because not only are you being judged for your own work, but your whole family is being judged too! It can make one feel very naked and vulnerable. But the risks are great because the rewards are so great. It is also a joy for me to extend this work beyond the boarders of my family and to invite others into this work – Arnaud, Mathilde, Rafael… Rodney (the photographer) and now Justine. If I’m doing this work with my blood-family, it is in the hope that those ties can reach out to others, then to an audience, and remind us that we are all part of the same human family. I think the play speaks of this too. Why is it important for others to see it? One of the most important aspects of this play is that it touches on an idea that I think is extremely important for our world today – everyone – every human being – is capable of evil or good. We demonize certain people and we transform this world into good people and bad people, but the line between good and evil runs across every human being’s heart and I think that this play speaks to that very strongly. In these last few years where we’ve been plagued by questions of terrorism, gunmen, horrible war crimes… this play deals with questions which are ever present in our world in a way that is both enjoyable, entertaining, and yet deep and thought-provoking. The writing never closes anything into one ideology or simple message. The character of the Devil is unique and the play is worth seeing just for that. I also believe that there is a lot of love behind all of this work. My mother’s initial love for the character and for Dostoyevsky and our love for her and her work… and the love of each person involved in this project for what they’re doing. 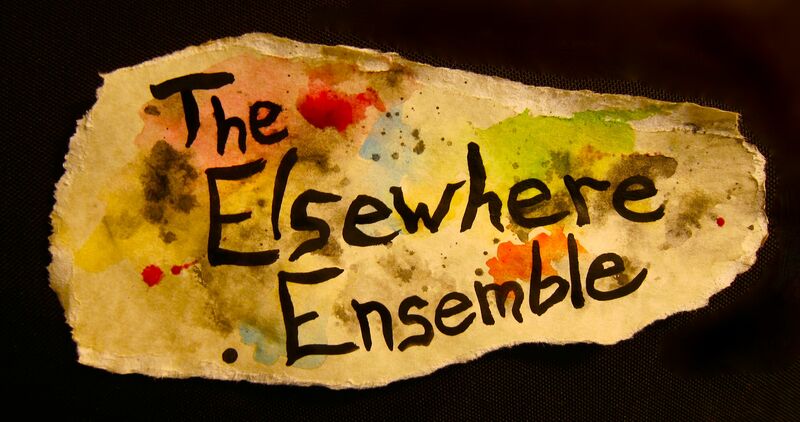 For me, that is one of the guiding forces behind The Elsewhere Ensemble, that the people themselves and how they work is as important as the work itself.